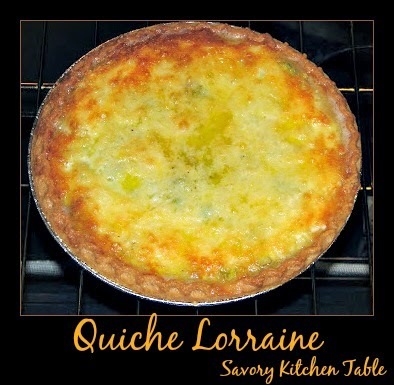 QUICHE LORRAINE the PERFECT Sunday morning pie! Prebake the pie crust and cool before filling. Sprinkle the crumbled bacon, finely sliced onion and grated swiss cheese evenly into crust. Beat the eggs, whipping cream and seasonings until well blended. Pour over mixture in pie crust. Bake 15 minutes and then reduce heat to 300° and bake an additional 35 minutes or until just golden and knife comes out clean.